Roll out the red carpet to the latest addition to the Dubai’s music lounge scene- Muze. Located at the beautiful Souk Al Bahar, Downtown Dubai. Muze is a live music lounge and restaurant, that offers live jazz, soul,Latin, world and Arabic fusion music. Muze is a great new addition to the nightlife in Dubai. Love the eclectic music offering in the tastefully done up venue. 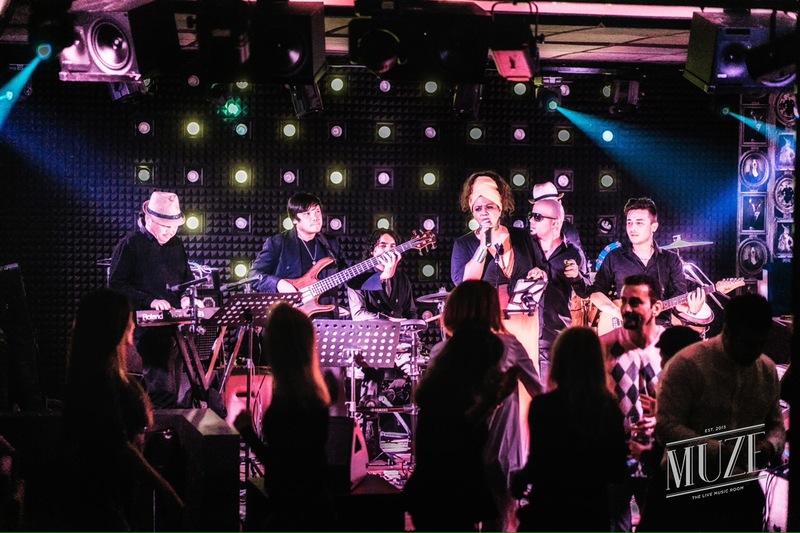 Infact the unique entertainment offering of Muze sets it apart from other live music spots in Dubai. Muze is a very spacious lounge- it has a centrally located live stage, vast seating area, high tables and a well stocked bar. The interiors of Muze is classy and contemporary. The focal point of the place is music and even the interiors are inspired by the diverse musical genres that Muze offers. The plush and colorful lounges and dim lighting adds glamour to the place. 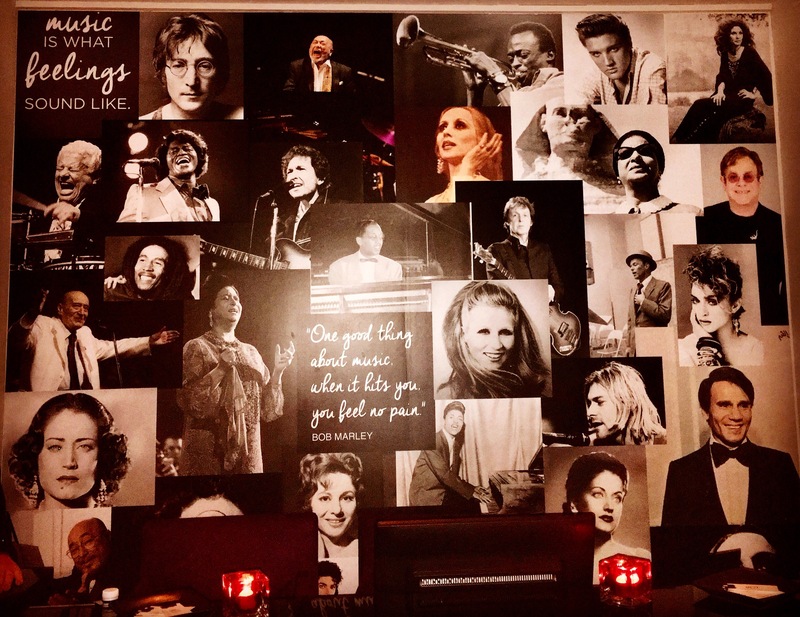 Wednesday nights is the Jazz & Soul Night with Rouba and her band. I enjoyed my musical journey with Rouba and her band. Rouba’s soulful voice took me on a soul and jazz music journey. Rouba is a Lebanese artist/songwriter with amazing vocals. Her energetic and lively performance had everyone asking for more. If you seek good music, then you will definitely love Rouba and her band. 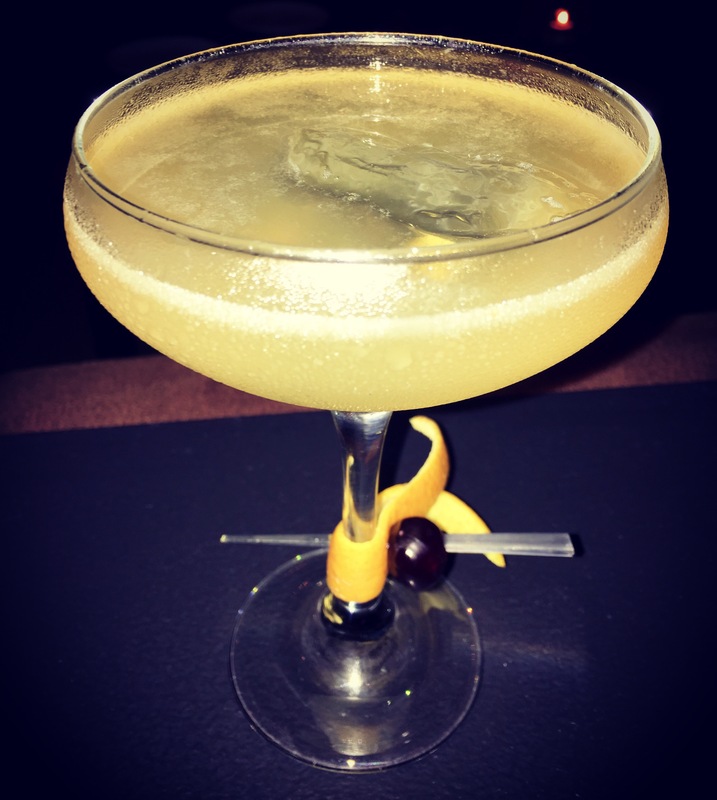 Muze offers a wide range of exotic cocktails and other alcoholic beverages. All the cocktails are Latin inspired. I am pretty impressed by their cocktail list. I tried quite a few- Paloma, Illegal Mandarin, Alpaca and Gin Gin Mule. All the cocktails were excellent. Paloma had a perfect blend of Mexican Teqila and Sauvignon Blanc with peaches. This refreshing drink is light and fruity. Illegal Mandarin was extremely delicious. It was a mix of tequila, strong flavors of mandarin, cinnamon and aroma of Cassia bark. Alpaca is a flaming tiki cocktail made with mango and rum. The fire of the flaming cocktail enriched the flavor of the drink. 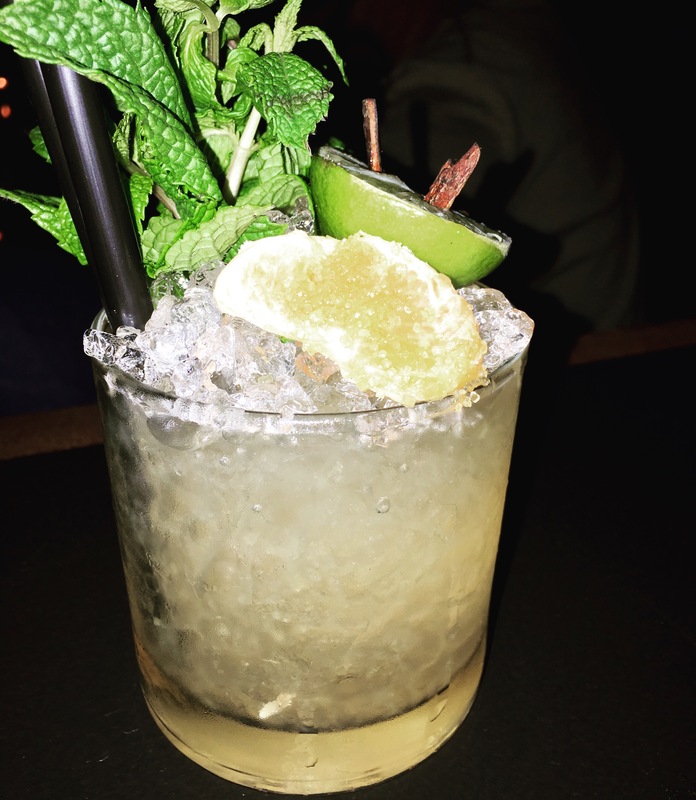 Gin Gin Mule is a classic combination of gin and ginger ale with fruits, mint and topped with a floral liqueur. This cocktail was fantastic. Muze also serves a limited variety of Mexican fusion food. 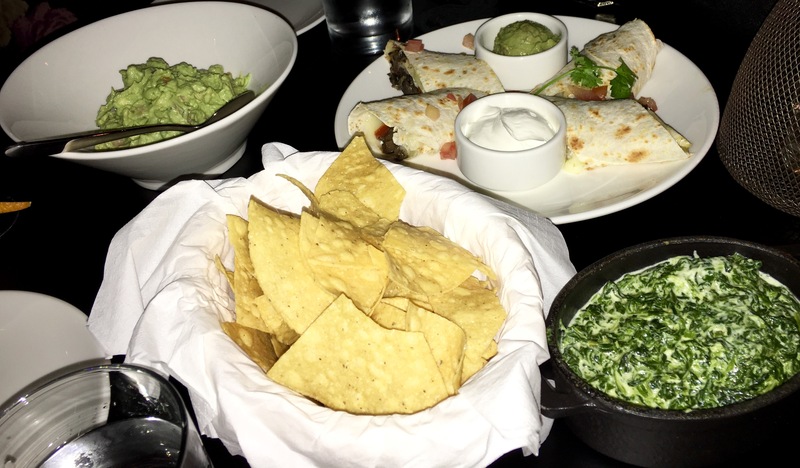 I had Guacamole,Spinach & Artichoke dip with Tortilla chips and Quesadilla. It was good. 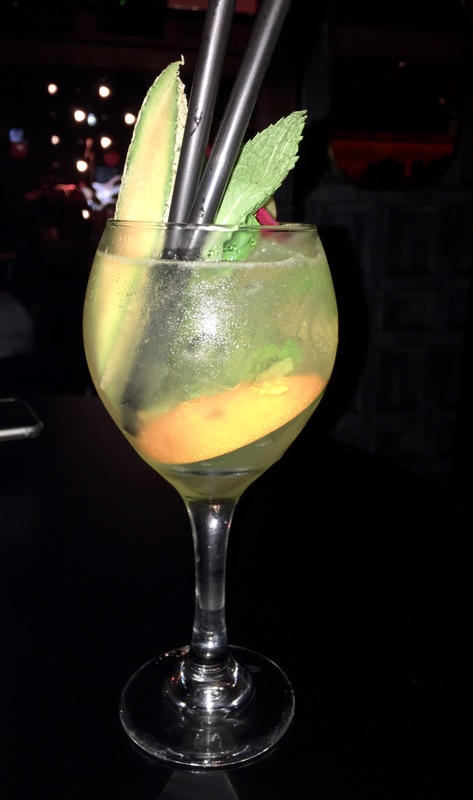 Sipping on a perfectly crafted cocktail and grooving to the music of Rouba and her band is a perfect way to chill out on a Wednesday night. Muze is a must-visit destination for all music lovers and an awesome addition to Dubai’s thriving nightlife. Muze is open on Wednesdays, Thursdays and Fridays from 8 PM till 2 AM. Wednesday night-Jazz & Soul Night with Rouba and her band. Thursday night- Cassette Nights with retro music.